In contemporary behavioral science, the randomized clinical trial has emerged as the gold standard for evaluating the efficacy of medical and social interventions. Indeed, today, for an intervention to not be "evidence-based" is to be largely shunned from most funding streams. But are there other ways we can judge the viability of potential interventions? We would like to pose the following question: What would we be doing as community psychologists as well as educators, youth development specialists and public and mental health practitioners if we believed that human evolution was the ultimate clinical trial? What behavioral forms have stood the test of time and span cultural differences? What archetypal features are consistently found in all human communities that presumably contribute to the survival of our species? If such patterns do exist, should these processes become the touchstone of our efforts to develop interventions intended to improve individual and community life? The questions regarding the presence of common features across the panorama of cultural practices that exist in our species are the mainstay of anthropological study. Arnold van Gennep's classic work (1909/1960), The rites of passage, identifies one such commonality: the presence of community-centered rites of passage to mark important life transitions found in nearly all cultures. While the manifestations of these rites of passage (phenotypes) vary across cultures, van Gennep argued that they all contain an underlying process sequence (genotype) of three stages: separation, transition (liminality) and incorporation. We believe that many western cultures have weakened or lost their attachment to rite of passage experiences for youth, with a consequent regression in the well-being of youth, the greater community and the environment. The manifestations of this are seen in the myriad of destructive behaviors (substance abuse, crime, etc.) in which youth engage. The reasons for the diminishment of such rites are complex, but the consequences of this loss have been discussed by many. For example, Putnam's (2000) Bowling Alone and a substantial literature on social capital point to the consequences of the dissolution of human bonds and obligations, characteristics that are shorn up by rites of passage experiences. Equally important, society (and our profession's) response to these deficits have largely been piecemeal attempts to give youth specific skills, e.g., resisting peer pressure, rather than addressing the more fundamental issue of youth's connection to the greater society. From phenotype to genotype: What are the common elements of such rites of passage? Our investigation (Blumenkrantz, 19941) suggests that not only are there common stages to rites of passage as identified by van Gennep (1909), but there are also 20 common elements that form the foundation of such experiences. Indeed, we have argued elsewhere (Blumenkrantz & Goldstein 2010) that these elements and a rites of passage perspective could be the foundation of much community development work. We applaud the recent emergence of the field of positive youth development which recognizes the positive elements needed for healthy development, in particular, the work by the Search Institute with their 40 developmental assets, but feel that a rite of passage framework could provide added coherence to these disparate strengths. In fact, a rite of passage framework not only offers coherence to a community’s youth development efforts, it also fosters all 40 developmental assets and almost all other orientations, such as resiliency, character education, and academic & social-emotional learning, to name a few. So what if evolution is the ultimate clinical trial? What if our millions of years of evolution as a species have led to the development of cultural forms that can help sustain us? We need to learn from that history and recognize the wisdom that is part of our past. This has been addressed previously in response to another question: Why Youth & Community Development through Rites of Passage Now? Please note: we are not condoning the abandonment of modern science and its methods. 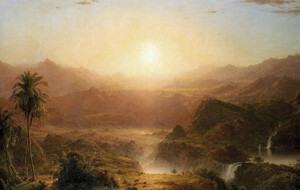 Humankind has benefitted greatly and will continue to do so from such intellectual endeavors. But our heavy emphasis on "evidence-based" interventions may preclude us from seeing what has evolved from the 2 million year old clinical trial called "human evolution." Dr. Marc B. Goldstein is Professor Emeritus of Psychology at Central Connecticut State University, New Britain, CT (Goldsteinm@ccsu.edu) & Vice President of The Center’s Board of Directors. Blumenkrantz, D. G. (1994). 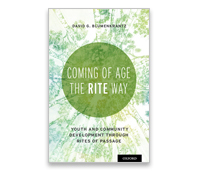 The rite way: Guiding youth to adulthood and the problem of communitas. Dissertation Abstract International, 57(11), 4645A. (UMI No. AAT 9713085). Blumenkrantz, D. G., & Goldstein, M. B. (2010). Rites of passage as a framework for community interventions with youth. Global Journal of Community Psychology Practice, 2(1), 1-9. Putnam, R. D. (2000). Bowling alone: The collapse and revival of American community. New York: Simon & Shuster. 1 A revised version of my dissertation will be released in 2014 entitled: And how are the children? Rites of passage and the future of all my relations.